Considered sacred ground even before Solomon’s Temple stood there and bitterly contested in our own day, the Temple Mount is one of the most fascinating and important places on earth. BAS editors have compiled a special collection of articles from Biblical Archaeology Review that highlight the Temple Mount’s role in the three major Abrahamic religions and focus on a key archaeological issue: Just where was the ancient Jewish Temple located? 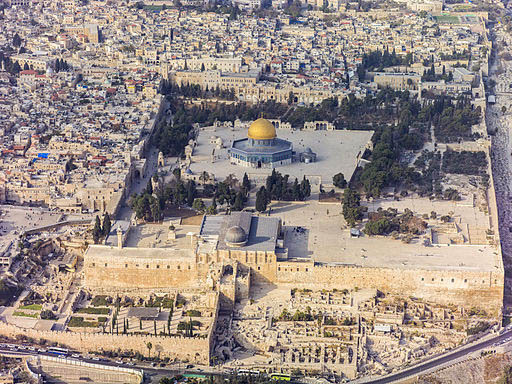 Aerial view of the Temple Mount in Jerusalem. Photo: Andrew Shiva’s photo is licensed under CC BY-SA 3.0. For students of ancient Jerusalem, it is the Holy Grail: locating where the Temple stood atop the Temple Mount. The First Temple built by Solomon and the Second Temple rebuilt by the returning exiles stood on a square Temple Mount somewhere within the borders of the current Temple Mount. The Temple Mount today attained its size and shape during an ambitious expansion program begun by King Herod in 19 B.C.E. Where was this early Temple Mount located? As detailed in “Locating the Original Temple Mount,” Leen Ritmeyer pieces together subtle archaeological clues to locate the original Temple Mount and to make a highly persuasive suggestion on the location of the Temple itself. In “Sacred Geometry: Unlocking the Secret of the Temple Mount, Part 1” and “Part 2,” David Jacobson provides his own take on where the Jerusalem Temple stood. Jacobson uses key architectural “fingerprints” of King Herod’s builders to pinpoint the position of the Temple. Scouring 19th-century photographs of the Dome of the Rock, Jacobson found not only the lines of the original plan but also what may be the archaeological remains of the sacred precinct surrounding the Temple built by King Herod. When the Romans burned Jerusalem’s Temple Mount in 70 C.E., marble architectural fragments from Herod’s Royal Stoa fell to the street below. As detailed in “New Evidence of the Royal Stoa and Roman Flames” by Orit Peleg-Barkat and Aryeh Shimron, the fragments evidence the conflagration that occurred two millennia ago. When Arabs conquered Jerusalem in 638, the city had been under Christian rule for 300 years, and the site of the Jewish Temple lay in ruins. Jerusalem was soon transformed, however, into an Islamic holy city, as Moshe Sharon illustrates in “Islam on the Temple Mount.” The Dome of the Rock, built around what Muslims regarded as a vestige of Solomon’s Temple, was designed to eclipse the Church of the Holy Sepulchre and, with it, the dominance of Christianity. Discover all this and more—but only if you become a member right now! How can you learn more about the fascinating mysteries surrounding the Temple Mount? 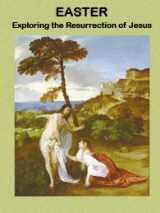 The answer lies with the Biblical Archaeology Society, the leading authority in making scholarly study of Biblical history accessible to a lay audience. 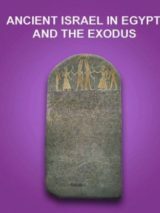 The more exact answer is the renowned Biblical Archaeology Society Library, and specifically its detailed Special Collection, The Temple Mount.